A Proper Cuppa Tea by KG MacGregor is a delightful romantic story about learning from your mistakes and thriving in the face of adversity. It is also a story about opening your heart to love, exploring new possibilities and making peace with your past. The path to true love does not always run smoothly and Channing Hughes can wholeheartedly agree, especially after a doomed office romance runs its course and leaves her life and her career in tatters. Channing decides to leave her job in Boston and return to England to recover from the pain and humiliation she endured. It is a stroke of good luck or it can be seen as a pending disaster that Channing’s late grandfather left her all of his worldly possessions. Channing is the sole heir to the Hughes manor and the family fortune but there’s just one drawback— there is no family fortune. Channing is confronted with the harsh reality of being unemployed because she is responsible for an ancient manor that needs repairs and it comes with a large tax bill and to top it all off, she has to make decisions about the welfare of the staff who work at the manor. Lark Latimer is so familiar with love and loss because she lost her lover and the chance to advance in a rewarding medical career when her mother fell terminally ill. Not one to give up easily, Lark made a comeback when she took a job as an investigator for a pharmaceutical company. Her job entails traveling to various countries where drug trials have gone awry and this time her job takes her to the lovely English countryside. On the long and drawn out transatlantic flight to England, Lark encounters Channing—a reserved, enthralling and comical woman who captures Lark’s attention from the moment she first laid eyes on her. There was no way that Lark and Channing could have foreseen that a chance meeting on a flight would have evolved into life altering decisions and a budding romance. Will Channing sacrifice a chance at love and happiness to hold onto the beloved family manor? Will Lark persuade Channing to sell the manor and create a new life with her in Boston? Dr. Lark Latimer works as an investigator for a pharmaceutical company. I have so much respect for Lark because she did not allow her painful past to hold her back or make her bitter. Even though she had huge setbacks in her career, Lark found a way to enjoy her life and be successful. Lark wears her heart on her sleeve and she always tries to see the good in every situation and in people and this endeared her to me. Lark is a woman after my own heart! The author did a remarkable job of bringing all of the characters to life for me. I was able to form a vivid image of each delightful character in my mind and I felt as though I could hear the witty banter between Channing and Lark. There wasn’t a lag in the storyline or any unnecessary drama and I am very pleased to admit that the author made me fall in love with the charming English landscape. I always enjoy any story where I can learn the ins and outs of a unique career. Thanks to this lovely story, I have a greater understanding and appreciation for the life-changing work that the pharmaceutical industries do. I really admired all of the hard work and the dedication the pharmaceutical research team from PharmaStat put in because medical research can give people a better quality of life and most importantly it saves lives. I am just sad that the story had to end. I’m keeping my fingers crossed with the hope that a sequel will be on the horizon soon. This story entertained me from the first word and I can’t tell you how many times I had to suppress my laughter while I kept sneaking a read when I was at work. I adore British humor and I tend to fall in love (quite deeply, I must say) with quirky and sarcastic British characters who have a wicked sense of humor. If you love books with picturesque landscapes, feisty women, meddling and well-meaning friends coupled with countless cups of delicious tea, then this story is definitely for you! Recognizing the name, Channing followed her eyes several rows ahead where the chiseled television star, a rugged Hollywood hero-type whom the gossip rags linked to starlets half his age, was hanging his blazer in a small closet next to his seat. Payton’s secretary gushed like a schoolgirl over his popular series, a firehouse drama filmed on location in Boston. Channing was utterly unimpressed. No sooner had Muriel walked away than Goff caught her eye and flashed a blinding smile. To her horror, he strutted the few steps toward her seat, teeming with self-assuredness. “Oh, bloody hell,” she muttered, swiveling abruptly toward the seatmate she’d just abused in hopes of dissuading him with the appearance of being engaged in conversation. A pointless exercise, she realized, as his spicy cologne announced his arrival. Stunned to silence, Channing drew her hand back ever so slowly, as though she’d been petting a dog she was worried might bite. Or maybe she was the dog, too fearful to trust a simple gesture of kindness. A disastrous office affair has left Channing Hughes unemployed and (very bloody) cynical. What better time to leave Boston for her native England, where her late grandfather has named her sole heir of the Hughes fortune, along with the centuries-old manor house that's been in the family for generations. Only one problem with that plan--there is no Hughes fortune. The only way out from under the hefty tax bill is to sell the manor as quickly as possible or find a high-level job to support it. If anyone deserves to be cynical about life, it's Dr. Lark Latimer. 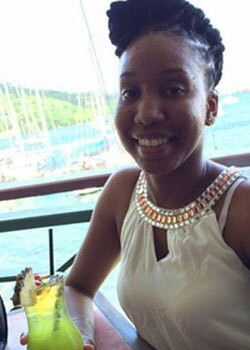 She overcame a dysfunctional upbringing in East Boston only to lose both her college sweetheart and a promising medical career when her Ma fell critically ill. Determined to bounce back, Lark signs on with a pharmaceutical company, a job that takes her abroad to investigate a drug trial gone sideways. She finds an English countryside that's bursting with charm--including the dry-witted, sophisticated Channing, who may be just what the doctor ordered. Neither woman imagined the spark they shared on their transatlantic flight would lead them to life-changing decisions. Will Channing give up a future with Lark to save her home? Or will Lark persuade her to sell the manor and return to Boston? Their time clock is ticking.